This band is made to sit flash against EidelPrecious signature sapphire ring and match the style of the ring.14k RG. Important note: The width of my rings and bands may vary slightly. 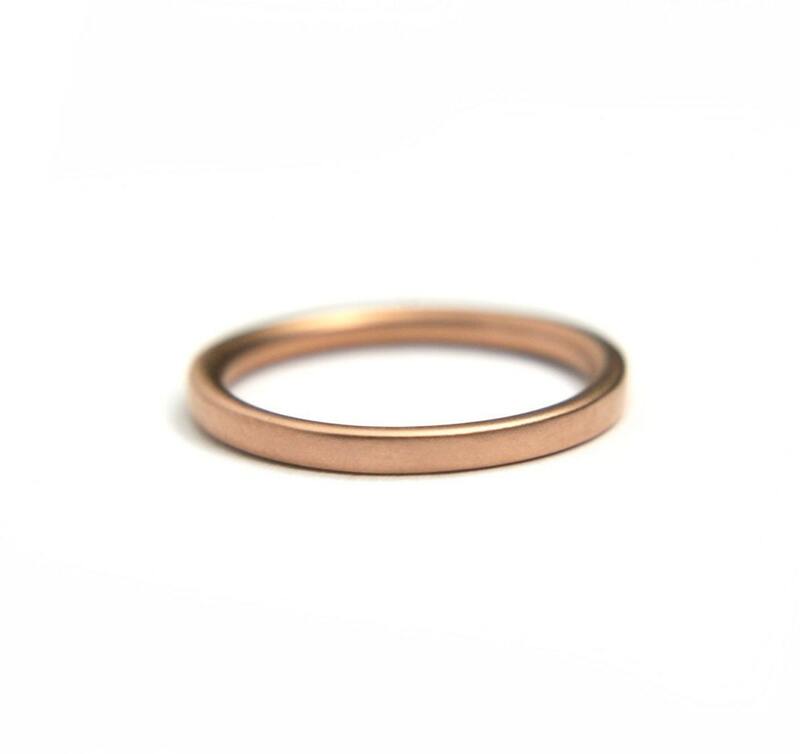 I do not guarantee the width of the band to be exactly the same as the width of the ring you have. The difference can reach in 1/4-1/2mm. Unfortunately, I do not take custom orders for the bands to match the width. Matches my Eidel Precious engagement ring perfectly. Love how this simple band looks on its own or together. Can't wait to wear it for good in a few months! Great communication, very quick shipping and this white gold band is a beautiful match to the engagement ring my fiance bought from this seller last year. Thank you so much!